Another week on set for the cast and crew is over, a new one begins tomorrow. Episode 8.08 of Dexter's final season will be in production for the next few days and We have for you all the scoop from the set of Season 8, plus cast's reactions to the release of the official Dexter Season 8 trailer. 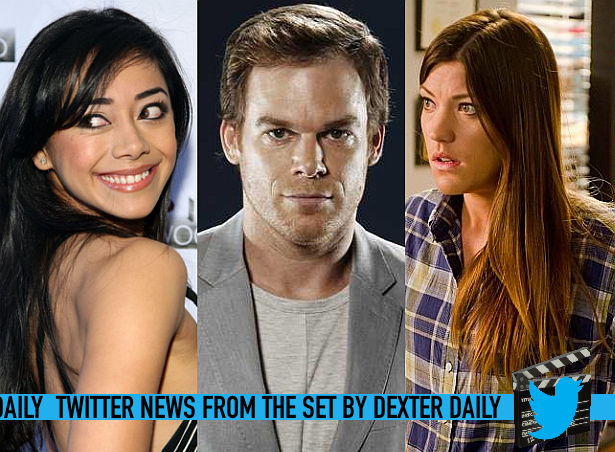 Skip the jump to see what the cast and crew of Dexter tweeted this week. Jennifer Carpenter tweeted the following about her and Michael C. Hall on the set! I am locking myself in my trailer. No! I'm locking Michael in HIS trailer. If we keep shooting this show... it's going to end!!! Aimee Garcia reacts to the release of the official trailer. The song was perfect... indeed! Season 8 guest star Nick Gomez tweeted only an excerpt from the trailer.